Over the years I have attended numerous lectures on vaccines, detailing the most current information from leading immunologists such as Dr. Ronald Schultz and experts on infectious disease such as Dr. Richard Ford. It is surprising to many that these researchers do not include Leptospirosis as a recommended vaccine. In fact, Dr. Schultz resides in a Leptospira endemic area of the country and not only does he not recommend the vaccine for others, he does not vaccinate his own dogs for Leptospirosis. Within 14 days of receiving the Leptospirosis vaccine, this dog developed multiple tumors at all lymphatic drainage points on his body. The disappearance of muscle mass and connective tissue in his rear legs took only 10 days post vaccination to evolve. This dog was euthanized 14 days after vaccination as he developed numerous generalized mast cell tumors. Intrigued with the concept of foregoing Leptospirosis vaccination, I began to focus on how best to create a prevention program for our veterinary clinic. I began with the CDC website on the disease of leptospirosis as it stands here in the United States. The most current CDC fact sheet reveals that leptospirosis in humans is not a reportable disease in the United States. The few cases that do occur are mostly traced to Hawaii which is not part of the continental United States. The disease does occur more in tropical climates and is reported to have a human fatality rate worldwide of between 1% and 5%. With most of the cases in the US occurring in Hawaii or in travelers returning from tropical destinations, I began to put the exposure of leptospirosis in the US into proper perspective. Shortly afterward, I travelled to Massachusetts for a lecture promoting leptospirosis vaccination for dogs. While there, I requested the epidemiological information on leptospirosis in Massachusetts and found that Massachusetts had never had a single case of leptospirosis reported in humans since they began reporting leptospirosis. There were no confirmed documented reports of leptospirosis in dogs. I then decided to focus on the areas of the world which are trouble spots of leptospira exposure, notably Okinawa, Philippines, Sri Lanka, Malaysia, Indonesia, Brazil, Cuba, Guatemala and Borneo. Most of the areas that suffer from this disease in a natural setting have a number of common environmental parameters. One is standing water or flooding, including post-hurricane flooding and tropical areas of increased waterfall. In fact, US military personnel have seen infections with leptospira when at duty in stations in such locations. Another factor associated with increased leptospirosis exposure is the presence of rat infestations. Such infestations can be commonly found in areas such as the slums of Brazil, the crowded alleys of the NY Bronx, and the rat infested prisons of Malaysia. Not surprisingly, Chinese sewer workers are frequently exposed to leptospirosis. Exposure to leptospirosis is also of greater threat in the autumn. Back here in the United States, leptospirosis may infect ponds and smaller lakes: hunters and swimmers who use these selected reservoirs may be exposed to pathogenic serovars of leptospira. People who work with animals, such as butchers and slaughterhouse workers, veterinarians and farmers are also at increased risk. Interestingly, a dairy maid in the UK lost a pregnancy at 23 weeks due to the first known case of human intrauterine exposure to leptospirosis. A newly reported reservoir of leptospira in bats is also a matter of study. California sea lions and harbor seals have been found to carry leptospira and Japan has found leptospira in flying squirrels imported from the United States as pets from Texas. In the United States, it is clear that exposure to a pathogenic serovar of this organism is not a considerable risk for the typical dog, especially as the risk of exposure is clearly defined and easily avoidable. Despite this, leptospirosis has been labeled as the most rapidly growing zoonosis in the world. This dog presented 24 hours after Leptospirosis vaccination. Note the poster in the background. Last year, the predictable season of post hurricane flooding and leptospira exposure in Cuba was readily handled with the use of homeopathy. The success of this public health program is well documented with over 2.4 million people in Cuba administered two doses of homeoprophylaxis in 2007 by the Ministry of Health in Cuba. The doses of leptospira nosode had been prepared at the Finlay Institute, a center dedicated to development and production of vaccines. Finlay Institute is a WHO qualified facility dedicated to research, production and development and produces high quality homeopathic products in addition to vaccines. Understanding that there are much safer ways to address exposure to Leptospira in the example of a chemoprophylaxis is important to note when the record of adverse events from leptospira vaccines are discussed. There are over 230 serovars of leptospirosis, only a few which are pathogenic. Leptospirosis vaccines are serovar specific and several factors are impacted by this information. Any vaccine administered for specific serovars will only create agglutinating antibody to those specific serovars. What is important to note is that once vaccinated, the patient’s serum can no longer be a useful record for diagnostic tests. The reason is the serum antibody titer from the vaccine cannot be distinguished from antibody caused by natural infection. This leads to interpretation problems when trying to diagnose the presence of infection or disease. Multivalent vaccines lead to test results of antibody generation against serovars that were not even included in the vaccine to begin with. This leads to problems using the MAT titer test to determine which serovar is the serovar of infectivity, if any. Due to molecular mimicry with antigens, the unsettling factor for disease presence is complicated by cross reactivity of the antigens with many different disease organisms such as Syphilis, Lyme, Legionaries, HIV and autoimmune disease. Put simply, this means that it is difficult to distinguish between antibodies within this range of diseases. Testing for leptospirosis is currently performed with the PCR DNA test for the actual organism retrieved from either blood or urine. Oregon State Veterinary Diagnostic laboratory and IDEXX now both advertise this PCR testing on the DNA of the actual organism. Another major problem with the test is that any treatment prior to obtaining test samples will skew the test results: even one dose of antibiotics is able to turn a positive case to negative on the PCR test. Treatment of any sort will also render a test taken at a later date as negative. Vaccination with leptospira is fraught with problems. Of major concern is the fact that leptospira vaccines do not protect the dog from infection with leptospira or of renal colonization. Leptospira vaccines have little effect on the maintenance and transmission of the disease in the animal populations in which they are applied. The ineffectiveness of the vaccine is due in part to the many leptospirosis serovars and variability of pathogenic strains which are not addressed with vaccines. Alarmingly, leptospira can become a source of infection for the humans in contact with any dog vaccinated for leptospirosis. There are several cases of which I am personally aware where I could say beyond any doubt that a leptospira vaccine administered to the dog was the cause of subclinical infection and therefore transmitted to a human. 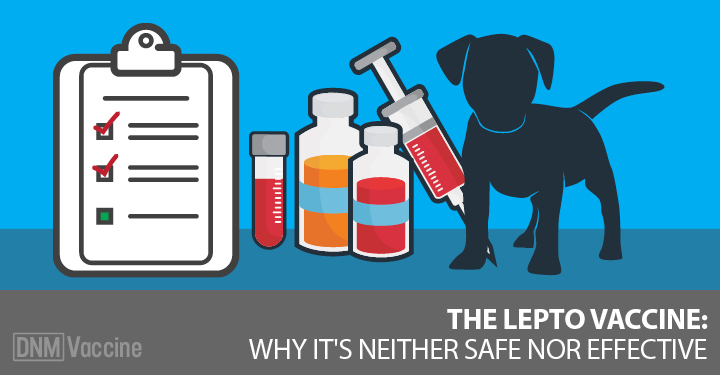 Leptospira can and will shed in a vaccinated dog and in turn, infect any humans living in the same household! Leptospira vaccines and the overuse of vaccines in our dogs is a direct obstacle to public health. There is a reported case of a duck hunter contracting a case of leptospirosis in California: the resulting epidemiological field study undertaken by the state resulted in an inability to recover any leptospira from the bodies of water he frequented. The question that needs to be answered is whether the man became infected through transmission of the leptospira from his vaccinated dog. There is great cost associated with monitoring the environment to continue to assess the extent of any purported leptospirosis serovars causing disease in a given population. To date there are no such programs in existence because the scarcity of the disease economically does not make leptospira a “priority” disease. Note that this also means there is currently no need for human vaccination epidemiological investigation. The crux of the problem is, veterinary doctors do not typically know that the leptospirosis vaccine does not confer immunity. Challenge studies are rarely done and most studies are ineffective in measuring immunity in vivo. Production of leptospira vaccines is expensive and labor intensive for the drug companies and the vaccines are already on the market: why would they spend precious monies on further testing? Further confusing the dog owner, most information available from self proclaimed “dog experts” on the internet is false. The marketing misinformation that recommends this vaccine is everywhere. 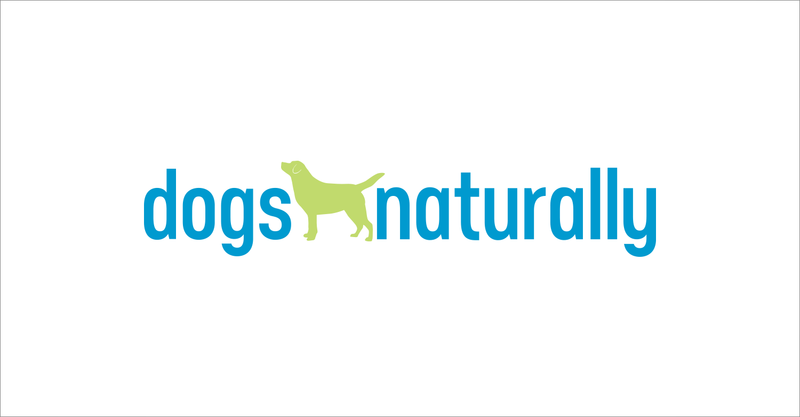 Unfortunately, this includes most of the advice found in veterinary run websites on the internet as well as that found in veterinary office brochures. I found one very fair column on the subject of leptospirosis written by a retired veterinarian in Oklahoma and a great article that actually listed the contraindications for the leptospira vaccines in dogs by a veterinarian in Bali: an island with a serious leptospirosis problem. Why is this information not better understood? The truth is that too many veterinarians are painfully inept at discussing leptospirosis because the bulk of their information comes from the very drug companies that stand to profit or at least recoup the many monies this troubled vaccine has cost their corporations. Of serious concern is that veterinarians are actively marketing for the drug companies. I have seen misinformation published not only in the local newspapers but also on the worldwide web. A Reidsville, NC veterinary facility which promoted the leptospira vaccine in partnership with Pfizeris just one example. The advice of our professional medical experts is seriously compromised and devalued when they do not perform due diligence before advocating this marketing material. Where is truth in advertising? There are many other important issues to consider when discussing the safety of vaccination in general. There is now a plethora of research implicating vaccines in the creation of immunopathology. The immune response to the chemical soup delivered through vaccines results in autoantibody production. Microbial antigens can also elicit autoantibody production. Indeed vaccines are now found to be responsible for autoantibody production, autoimmune disease, and cancer! The immunogenetics of autoantibody and autoimmune diseases are under genetic control; however the vaccine itself elicits genetic response in its wake. Vaccination leads to mutations of the genome: autoimmune disease in one generation will create genetic disease in the next. Thus, vaccines generate a genetic impact that not only determines the severity of the immune response in natural infections but also dictate the expression of autoimmune disease with repeated exposure to antigens with subsequent vaccine administration. The histocompatibility markers on the tissues are also reactive to the vaccine. The genetic compromise that occurs to the genome has never been researched by the vaccine manufacturers that produce vaccines. This should be a requirement for vaccine safety and efficacy claims but has never been determined by govern- ment regulatory agencies that license and approve these products for the unsuspecting population. Research shows that the histocompatibility sites of human and animal tissues are reacting with vaccine antigens which in turn are responsible for a plethora of adverse and potentially lethal disease pathology. In fact, there are documented examples of the antigen for both leptospira and Lyme disease vaccines producing the same pathology as the natural infection itself. Simply stated, these vaccines can cause the very disease that we are attempting to vacci- nate against. In some cases, viral vaccines can even result in the viral disease itself. This is summarized in Judith A. DeCava’s book ‘Vaccination Examining the Record’ She states “a person not vaccinated has ONE RISK, catching the disease, where a vaccinated person has TWO RISKS; catching the disease and damage from the vaccine”. The exaggerated reactivity to vaccines is easily seen in the spectrum of adverse events and diseases which commonly follow vaccine administration. Anaphylaxis, anorexia, fever, dehydration, autoimmune disease, digestive issues, limping, loud vocalization following vaccination, acute organ failure, renal failure, liver failure, pancreatitis, death, dermatitis, puritis, cancer, degeneration of soft tissue: all of these have been reported following administration of the leptospira vaccine. In dogs that present with leptospriosis, the severity may be associated with vaccine history and less likely, previous natural exposure which can create an exaggerated humoral immune response. Every single vaccination will impact the genetic environment by overly sensitizing the T cells and immune complex against the leptospirosis antigen, making future vaccination for leptospirosis and even natural exposure of grave danger due to the creation of this “super antigen”. Vaccinations prime the immune system for over-reaction which leads to dangerous cytokine cascade and tremendous immunopathology. In the rare case of exposure to leptospirosis, this “super antigen” reaction has the potential for lethal consequences from renal failure. The same danger exists with each and every vaccination and the likelihood and severity of reaction increases exponentially with every shot given (which in the case of leptospirosis, may be twice a year). In fact, some dogs who are vaccinated with leptospirosis die of renal failure within 48 hours: the same type of pathology that the actual disease could create. Dr. Ronald Schultz recognizes this risk and advises that you better be sure of the reason you are injecting because any time you inject, you could kill the patient. It appears that microbiologist Antoine Bechamp was correct about disease and the theory of “terrain”. Terrain theory states that it is the individual’s system that determines disease and the individual response to antigen within the patient’s immune cells. Multiple administrations of vaccines over sensitize the patient to a real crisis, and when antigen and immune cells collide, disease results. Pfizer sponsored ”scientific” papers on leptospira are sponsored with educational grants in order to produce recommendations for vaccination of the dog without proof that the vaccine is safe or effective. They use words like “likely” and “appears’ to expotentialize the nonexistent benefit of vaccination. They are reaching in their efforts to provide a reason for vaccine use. They say these vaccines “appear” to be effective. They write off any adverse events from the vaccines stating “published data to validate these concerns are lacking because there is no independent mechanism to report vaccine reactions in the US”. The drug companies and the veterinarians can all hide behind this statement and adverse reactions to vaccines continue to go unreported. When I pressed for the proof from Merial that their leptospira vaccines did indeed provide an entire year of “immunity” they finally sent me an article that did not even test their vaccines. The company forwarded work from Intervet in the Netherlands. Intervet is the source of much conflict in the UK for mounting yearly marketing campaigns in order to advocate yearly vaccinations of pets, despite the fact this is not a recommendation from the World Small Animal Veterinary Association or our AVMA or AAHA, or in Australia. The paper that was supposed to prove the worthiness of the leptospira vaccines failed to properly test vaccinates in a method that would prove immunity. Merial vaccines were not even used in their study, performed by the Dept. of Bacteriological R & D for Intervet International BV in the Netherlands. A Shot in the Dark accuses drug companies of conspiring to format a market for their product with only anecdotal evidence of the existence of any leptospirosis problems. Drug companies create a market for their product even though the risk for the disease is practically nonexistent and the vaccine is highly dangerous for animals. Human medicine is not exempt from this travesty with the Glaxo Smith Kline Hepatitis B vaccine, the Merck Gardasil vaccine, the Bird Flu and the Swine flu vaccines all resulting in calls for investigation and criminal charges to be brought against the WHO. WHO Vaccine Advisor, Juhane Eskola made over 6 million Euros researching vaccines for the recent swine flu “pandemic”. Similarly, the CDC Childhood Vaccine Advisor, Dr. Paul Offit made so much money with Merck making a rotavirus vaccine that he said “it was like winning the lottery”. US courts ordered the recall of the Lymerix vaccine based on adverse events and subsequently stated that federal employees should never be allowed to consult in areas where they set federal policy. In veterinary medi- cine, many researchers are paid employees of the pharmaceutical companies. Despite being on faculties of our leading veterinary institutions, many have their research grants supplied to them from the pharmaceutical industry. Vaccine adverse events will remain anecdotal so long as government and industry continue to protect vaccine use. Vaccine safety and efficacy continue to be determined by those who stand to profit from their sale and use. In light of this, the vaccine manufacturers continue their marketing efforts for ‘better’ and ‘safer’ vaccines. Pfizer provides ‘immunization support guarantees” and this says, ‘buy ours, it is the best”. They temper this with talk about “serovar shifts” and the fact that “diagnostic assays are wrought with problems” and they cannot explain how high MAT titers are obtained against serovars not contained in the vaccines and that the vaccine itself can produce disease in dogs. Indeed, there are many ways to beat their‘immunization guarantee”. Cornell states they have a more effective leptospira vaccine and they warn that the aluminum adjuvant used for five decades is now known to be ‘unreliable’. Aluminum is contained in all the leptospira vaccines even now; despite the fact that it causes cancer. Cornell states aluminum “destroys the antigen’s structure” and “degrades amino acid sequence “. This is apparently the case as the WHO in 1999 declared these adjuvants (which are found in children’s vaccines), as “carcinogenic” in the IARC. Cornell wants to take a whack at putting yet another Leptospira vaccine out there. 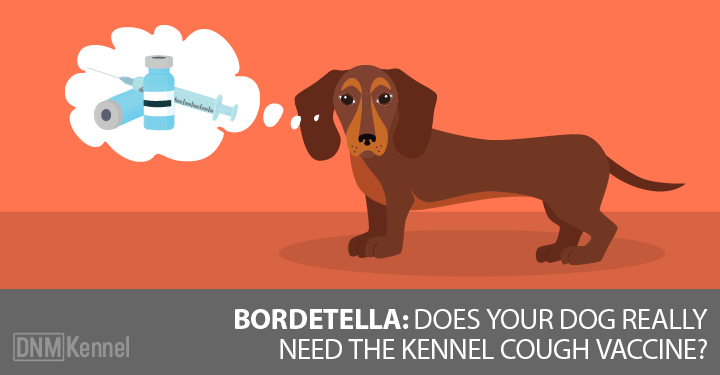 Cornell’s Baker Institute of Animal Vaccines will make yet another type of vaccine and this one will be better. This one is made with genetically engineered bacteria genes from E. coli and this one will be safer: try this one. Despite the vast amount of money spent of vaccine research, there is still no proof that vaccines create immunity. Vaccines are however, proven to create generations of immune reaction diseases that now plague highly vaccinated populations. As my colleague Dr. Stephen Blake has said over and over, ”never before in the history of man has there ever been a greater medical assumption more responsible for the death and disease than the use of vaccines as we know them today”. In summary, know the risks for natural leptospirosis infection and seek immediate treatment if your dog becomes ill. Familiarize yourself with the symptoms of leptospirosis and save your dog from the risk of vaccine induced renal failure or years of dermatitis and puritis. Antibiotic treatment is quickly effective for Leptospirosis, as is the use of homeopathy. You must realize however that the germ is not the problem: the individual’s immune system is the determinant. Optimal nutrition is the key to immune health and prior genetic damage from vaccines is also of consequence. In regard to the leptospira vaccine, the new genetically engineered products will not be proven any safer than earlier products. They will unleash this vaccine without really knowing if the vaccine is safe or effective, just as they have for all the vaccines that have come before. Intervet Schering Plough is revving up for their annual vaccine marketing campaign in the UK, promoting their vaccines on the questionable need for the vaccine in the first place. The only protection from this marketing mania is to know the lack of science behind both the manufacturing and administration of these vaccines:. Although drug companies are responsible for vaccine safety, they are not held accountable and there will be no recourse against these marketing giants if your pet becomes ill: a practice which Dr. Ron Schultz calls indefensible.